Inspired by the 1994 film Forrest Gump, the Bubba Gump Shrimp Company Restaurant and Market is a mouth-watering haven for lovers of small crustaceans all over the world. Having made the journey across the pond, the UK’s flagship Bubba Gump restaurant now sits in the heart of London’s bustling West End. Serving up a delicious array of starters, mains and desserts, this cool and casual restaurant is set to please diners of all shapes and sizes. 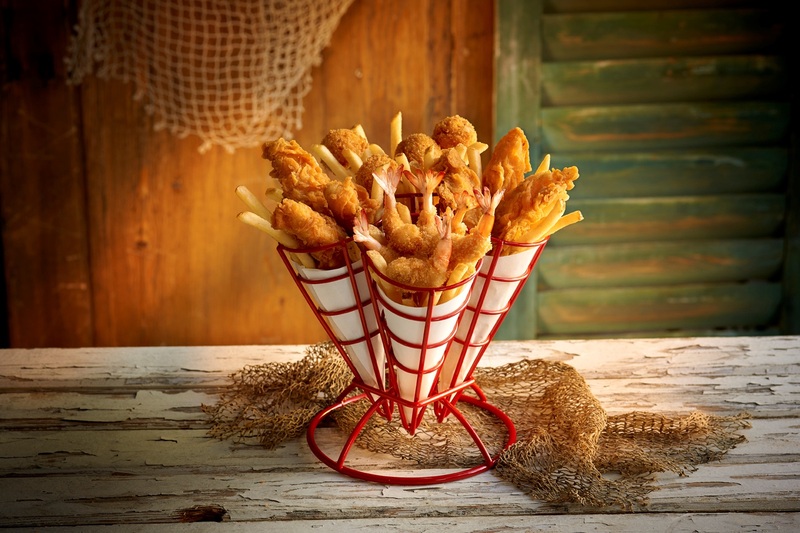 If you dream of seafood then the Bubba Gump Shrimp Company will be right up your street, but even if you’d rather have something meaty from the grill then Bubba’s will still see you right. Just around the corner from Piccadilly Circus and Leicester Square Garden, a meal in the Bubba Gump Shrimp Company will leave you well placed for a day of taking in the best that London has to offer. Whether that’s a touch of sightseeing or even catching a show – you’ll be in the West End after all – you’re sure to have a good time with a good meal fuelling your adventures. Each offer cannot be used in conjunction with any other offer. Maximum party size of 6 people.